The staff is outstanding in caring for our loved ones. 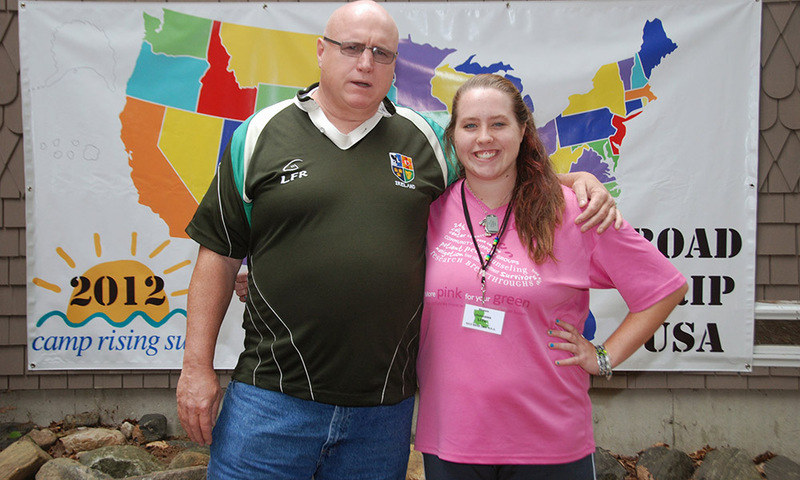 I am a parent of a teen camper who has witnessed firsthand the everlasting bond of love and friendship that is created and nurtured by the wonderfully uplifting experience of taking part in the smile inducing miracle of Camp Rising Sun. You enter a little skeptical at first because of all the weight that burdens your mind, but believe you me, the love and happiness of everyone in this place is infectious. Every camper’s face lights up with glee at the mere thought of this place and the serenity it offers to ease their struggles. To name a few would be a disservice to the ones that aren’t mentioned, for they all offer themselves whole-heartedly to the betterment of the campers and families. The memories of Camp Rising Sun leave a smile on all who enter its threshold.